El Camino College is a premier two-year public college located in Southern California. El Camino College offers over 70 academic degree and certificate programs as well as an excellent transfer reputation to elite four year universities. El Camino College offers on-site career training, multiple technical certification programs, on campus academic support and an intensive language program for students who do not meet minimum English language requirements at the College. Transfer Opportunities - Two years at El Camino College is the same as the first two years at any four year university. However, at El Camino College, these first two years are at a lower cost with small class sizes and more personalized attention than at a large university. After completing two years, students may transfer to a university with only two years left to study for their degree. El Camino College has excellent transfer opportunities to University of California and California State schools. 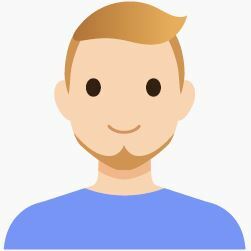 Affordable Tuition – Student save money while earning credits towards a degree. Intensive English Language Program – El Camino College offers student s without the minimum English requirement the opportunity to learn English at El Camino Language Academy then transfer to El Camino College. 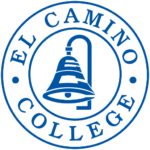 After the successful completion of the Intensive English Program, students are guaranteed admission to El Camino College. Location – El Camino College is centrally located between Los Angeles and Orange County in the city of Torrance. Freeways allow easy to access world famous cultural and entertainment attractions while cities such as San Diego, Las Vegas and San Francisco are an easy day trip away. Things to do – Live in one of the world’s most exciting cities while studying minutes from the beach. Local attractions are endless; 30 minutes from Santa Monica, Hollywood, Beverly Hills, and more. Fill in the form below to schedule with us an appointment to meet with representative for El Camino College.